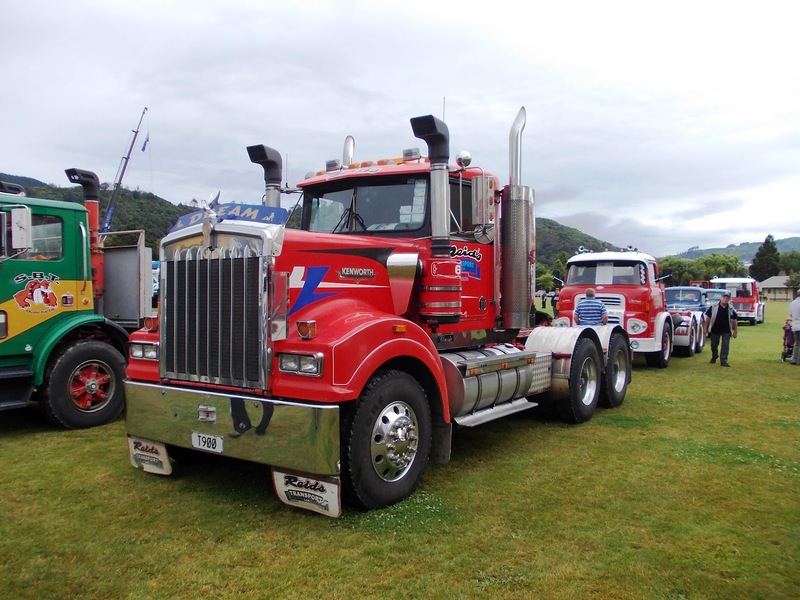 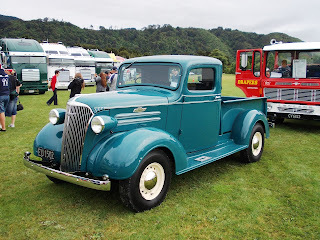 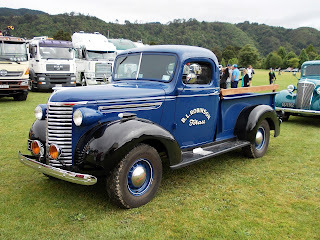 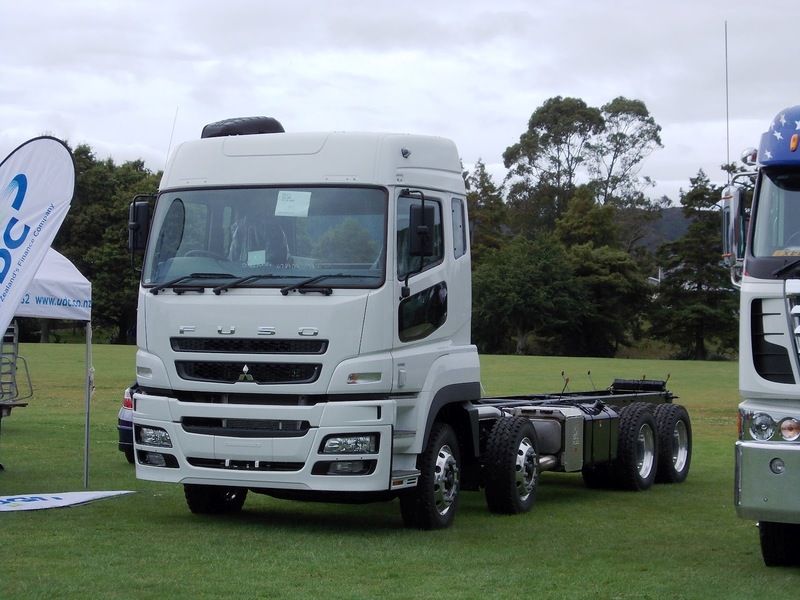 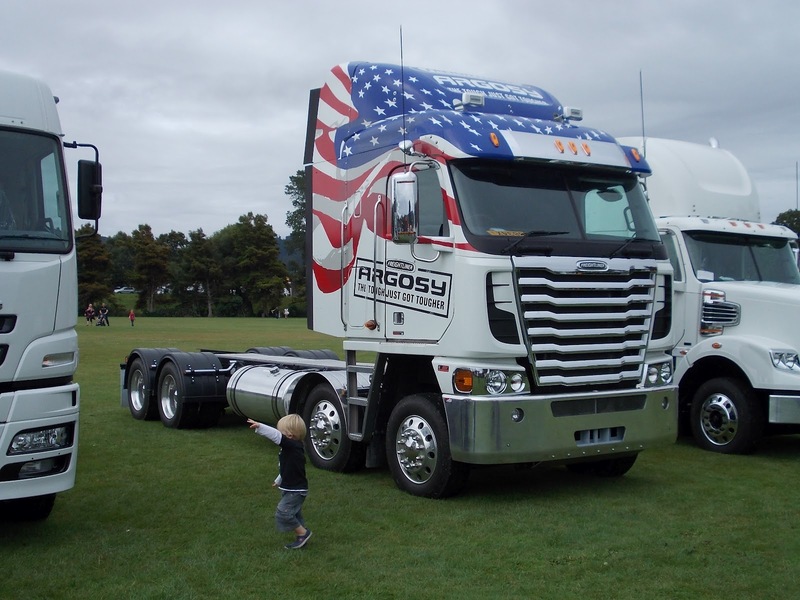 Waitangi weekend was also the date for the "Life Flight Trust" Truck Show at Trentham Park. 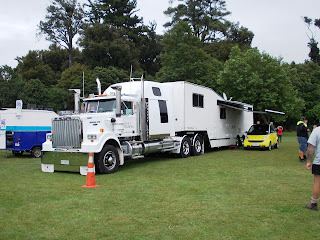 All proceeds went to the LFT which runs rescue helicopters and air ambulances.The event was held at Trentham Park. 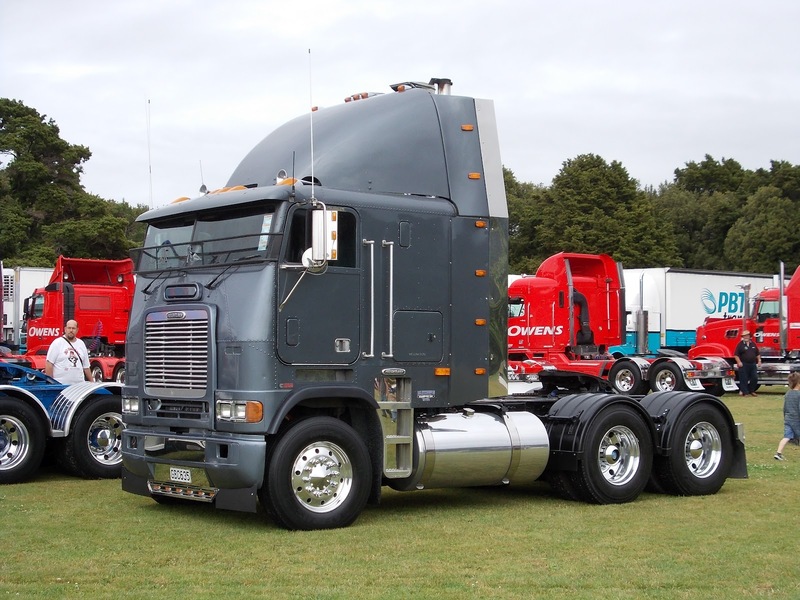 This Freightliner with forward set front axle, looks a little menacing in its plain dark grey. 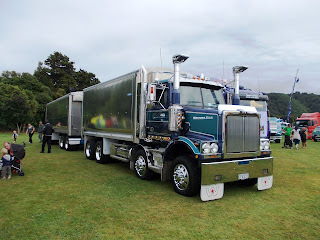 A Chem Courier's Western Star with many extras. 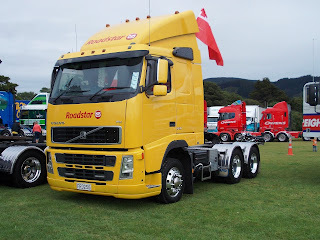 A single colour livery can still look good. 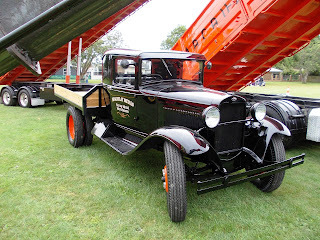 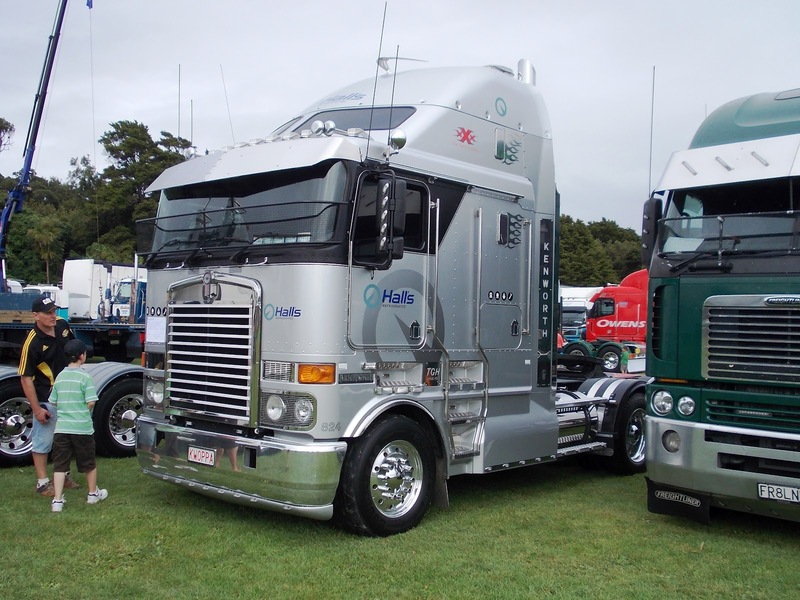 Big horizontal grille bars on this KW Aerodyne makes it look quite different. A W900 with just the right amount of pinstripes and colour. 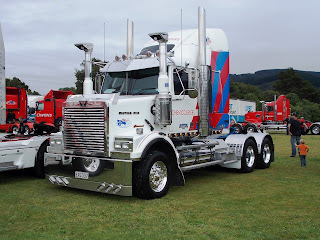 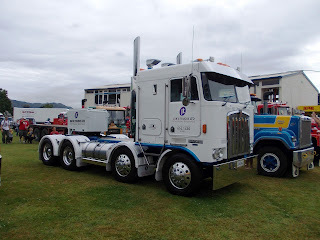 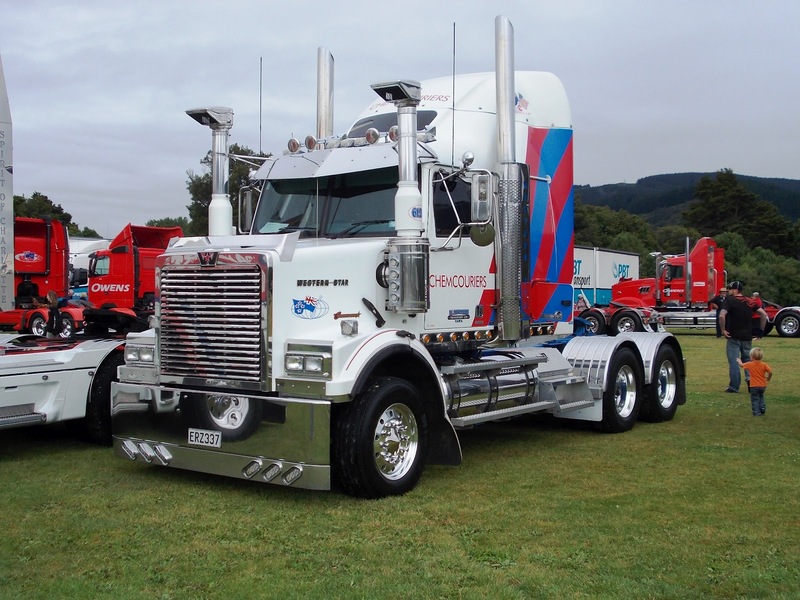 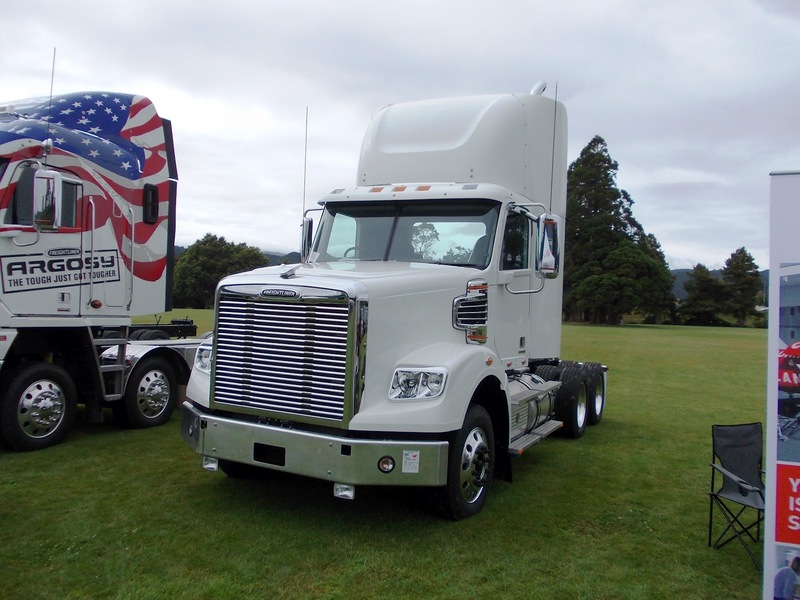 Carterton's Bill Hammond has just added this twin steer Western Star to his small tipper fleet. Mitsubishi displayed their latest 8 wheeler with Fuso name badge. 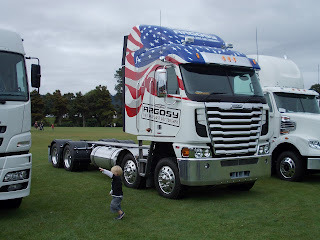 Very bold grille for the new model Freightliner Argosy. 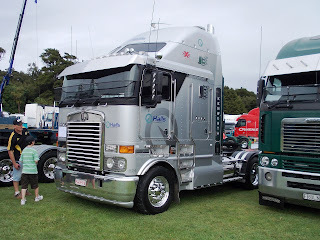 Freightliner Coronado as a short wheelbase 3 axle tractor. 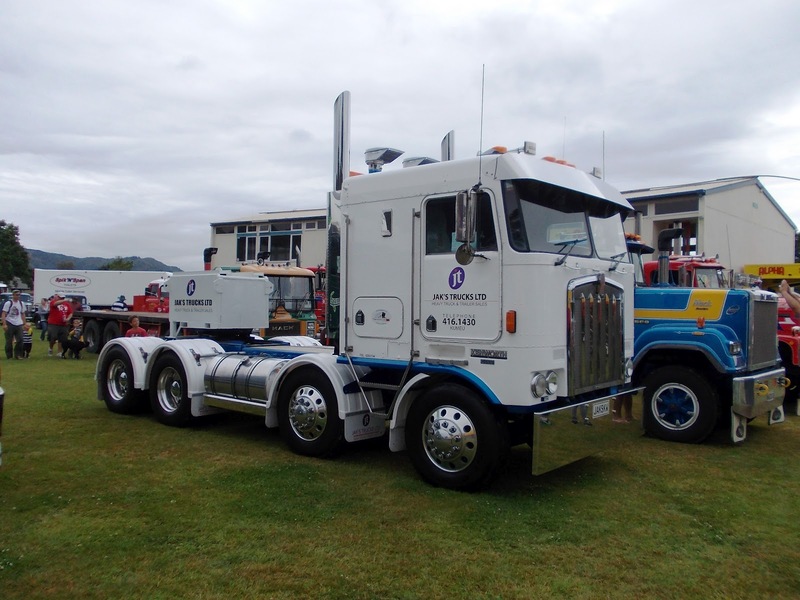 MacAulay Metals had their old Ford alongside one of their modern big tippers. Dean Fitzgerald's "caravan" is a true house on wheels. Jak's Truck Sales had their KW there with massive front bumper.